Paul Beaune Hair Loss Clinic offers full customization cranial prosthetics to deliver the look of a full, healthy head of hair. Compared to common attachment practices, our innovative weaving technique creates a secure attachment while allowing us to treat the natural hair and scalp underneath in an effort to slow down, stop, or even reverse alopecia and hair thinning. The Trichologists at the Hair Restoration Clinic in Charlotte are certified and accredited by the American Medical Certification Association to help men and women alike who are struggling with thinning hair and even extreme cases of hair loss in Charlotte. 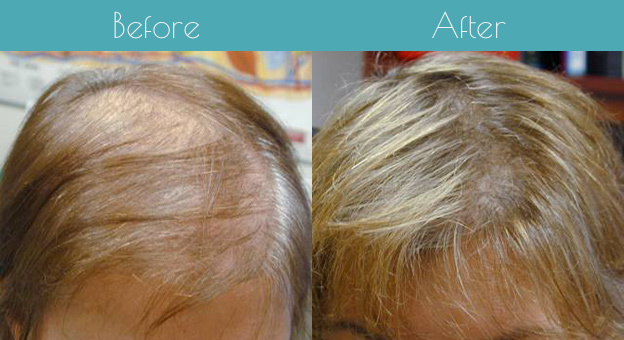 With over 33 years of experience in the hair industry, we can help you stop hair loss and restore your hair. Paul Beauné Hair Loss Clinic is committed to providing a complete approach to holistic healing techniques to help heal from the inside out. The partner company developed a top-of-the-line hair growth program that has proven hair growth results for over 30 years. This hair growth treatment plan can stop, slow down, and treat hair loss caused by the many types of Alopecia, balding due to DHT blocking follicle circulation and diseases. This is a scientifically-sound, safe and non-surgical tool for the treatment of thinning hair, hair loss and scalp problems. This FDA-reviewed and medically-tested laser for hair growth is safe and capable of re-growing hair through the stimulus of hair follicles and improvement of blood flow to scalps by a whopping 50%+! The “HairCheck” (a hand-held device that uses a bundle of uncut hair in order to determine the aging and health status of your hair) assesses hair breakage and density plus detects signs of genetic hair loss. Determines the type of alopecia present:  Traction, Androgenetic, Scarring, Areata, etc. Determines over-all scalp condition:  dry, oily, red, inflamed, dandruff, irritated, etc. The hair growth program scalp assessment can also help spot and record scalp and hair status getting better, keep track of hair re-growth, show the need for proper conditioning, cleansing, in order to achieve these things, photos of the scalp are taken and kept as means by which to keep track of improvements and changes. The hair growth program can effectively treat one of the major causes of hair loss and thinning hair, slow down the aging hair process, and help introduce the best environment for hair growth. This unique hair restoration program is designed to start at the root of the scalp and work from the inside out with our proven holistic approach. The complete hair growth program is specially designed to encourage healthier hair growth and the reduction of hair loss. These hair restoration techniques are all natural, safe, effective, and have been medically studied and tested. Providing exceptional hair nutrition and scalp hygiene, this hair restoration program helps prevent DHT problems by using natural extracts that strengthen hair. Paul Beauné NY Salon is a hair growth practice that uses a complete, multi-step program that greatly reduces hair loss and thinning hair, while at the same time, helping to provide the best conditions for hair growth and re-vitalization. We can provide more details during a privately-held, highly informative and confidence-restoring personalized meeting and consultation. Paul Beauné NY Salon is part of a network of hair growth professionals that are giving many people a new sense of hope, new perspectives with our proven holistic, multiple-level hair restoration program. This is a scientifically-sound, safe and non-surgical tool for the treatment of thinning hair, hair loss and scalp problems. This FDA-reviewed and medically-tested laser for hair growth is safe and capable of re-growing hair. Historically, a male’s hair has been a symbol of his good health, vitality, and masculinity; baldness can negatively affect male self-esteem. 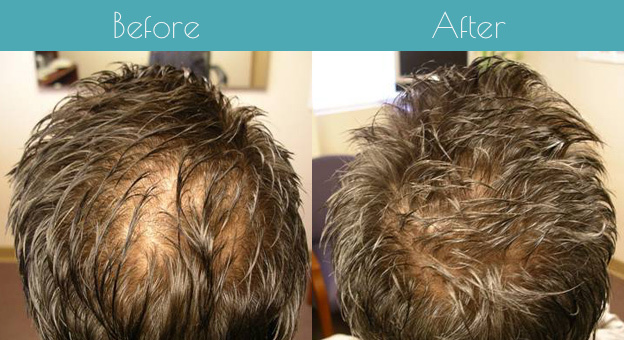 Male pattern baldness is very common in males and caused by DHT (dihydrotestosterone). Then again, intense hair balding and thinning can be indicative of an underlying health problem. The most common form of hair loss for men is androgenetic alopecia, which includes male pattern baldness. Hair loss in men generally exhibits hair thinning around frontal scalp areas and crown; the presence of unequal hair lengths is a classic male pattern balding sign. Use the form below to schedule a consultation with a hair loss specialist. Paul Beauné Hair Loss Clinic is a hair growth practice that serves customers in Ballantyne, SouthPark, Carmel and Uptown Charlotte, NC. Our clinic has a private area for consultation for your privacy. Please use the form, give us a call or drop by to schedule a consultation with a hair loss specialist, so we can answer your questions and start your hair re-growth journey today!